The two electronic music artists elaborate the electro movement, their history, labels, and production techniques. In the last years, we have witnessed electro being more visible and exciting than it has been in years. Electro has a long history since its birth in the ‘80s, emerging as a combination of early hip-hop with German and Japanese electropop bands such as Kraftwerk and Yellow Magic Orchestra. Although as a genre, electro has had its ups and downs throughout the years, for the nowadays young audience it feels like a fresh and intriguing sound. 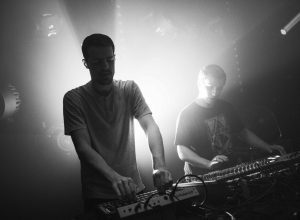 For our first In Conversation feature, we have two veterans of this genre, Sync 24 and Maelstrom, whom will elaborate on this movement, their history, labels, and production techniques. Hailing from the UK, Phil Bolland best known for his Sync 24 moniker is an electro artist and DJ, label boss of Cultivated Electronics and promoter of London-based Electro night Scand. Phil’s first exposure onto the electro scene as Sync 24 was in 2003 when he had two releases on Andrea Parker’s label Touchin Bass. In 2007, he started his own label Cultivated Electronics which has gone from strength to strength, releasing his own material along with artists as diverse as E.R.P., DMX Krew, James T. Cotton, Radioactive Man, The Exaltics, Morphology and Silicon Scally. The label is now an established underground purveyor pushing the electro sound for over a decade. Sync 24’s production and sets combine dark and moody with the funk. With releases on Electrix, Solar One, C.P.U and his own Cultivated Electronics his music is being championed by respected DJs such as Dave Clarke, DJ Stingray and Helena Hauff. The other artist we’re welcoming in the feature is the French artist Joan-Mael Péneau AKA Maelstrom. 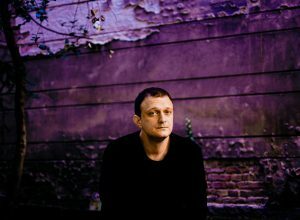 Often marked as an “exciting newcomer” to French techno, Maelstrom has actually been making music for over fifteen years. With a cryptic history of aliases and side projects, illegal raves thrown in warehouses, fields and basements, the artist has really come into his own under this moniker. With releases on BNR Trax, Sound Pellegrino and an undeniable staple of the Zone Records family, Maelstrom’s sound has matured from ferocious electro bangers to knee-buckling techno over the last half-decade. 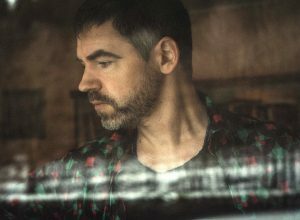 Not one to pigeonhole himself, the artist also flexes a stirring ambient muscle, working as deftly at a pensive 100 beats-per-minute as at a roaring 135. It is clear that Maelstrom’s storm is only beginning to brew, and that this artist is one to watch as he continues to create controlled chaos in the wild, bright future. When was your first contact with electro and how important was the impact of the national scene on your music? What about global influences? Maelstrom: My first contact with electro music was through Warp, of course, the Artificial Intelligence series, with artists like Autechre, Aphex Twin, or Squarepusher. Then I started listening to French artists like The Hacker with his Mélodies En Sous Sol LP, and it’s only after that I started to connect these influences with their Detroit origins. I knew about Detroit Techno but never really thought about the electro records of Drexciya or Model 500 as a separate style or scene, for me it was always techno from Detroit, and the most important was the esthetic and the sound which was close to other releases from Detroit with simpler drum structures. It’s actually only recently that I started thinking about this spectrum of electronic music as “electro,” probably when I started releasing with The Hacker and Gesaffelstein’s Zone label around 2011. In France, I would say Electro as a style has never been widely popular in clubs or raves although DJs like The Hacker or Laurent Garnier were always playing electro in their sets. Phil, how did you first get in touch with the type of music you’re releasing today? Sync24: Similar to you, I heard the early Warp stuff, Aphex Twin, Autechre, The Black Dog and Plaid, etc. But at the same time, I was introduced to the pure electro sound and fell in love. The late ‘90s was a very healthy time for a 16-year-old kid to get into the music. In the UK alone at that time there were great artists like Scopex, Bass Junkie, The Dexorcist, Radioactive Man/2 Lone Swordsman, ADJ, DMX Krew, The Advent and Silicon Scally who is still to this day my favourite producer. Alongside labels like Touchin Bass, Control Tower, SCSI-AV, Ai, Breakin, Electron Industries who were all shaping the longstanding sound of modern UK electro. I also liked the compilations Dave Clarke was releasing like World Service and Electro Boogie. I was also listening to lots of stuff from all over the world like Drexciya, UR, Satamile, Aux 88, Mr. Velcro Fastener, Ectomorph, World Electric, Serotonin USA, Plasmek, Clone, Murder Capital and Miami stuff like Dynamix II and Soul Oddity. I had my first release in 2003 on Andrea Parkers Touchin’ Bass label, and all of the above definitely played a huge part in shaping the beginning of my sound. I was also really into dark drum and bass as a teen and feel this also plays a part in my productions to this day. M: In the last 12 to 18 months, I’ve noticed it’s became easier to play electro to larger crowds and outside of electronic music capitals like Paris, London or Berlin. I’ve always played electro in my sets, but it used to be difficult to play electro only sets everywhere, people wouldn’t necessarily “get it” and would sometimes stare at me as if I was playing some weird experimental 6/8 drum patterns they couldn’t dance to, whereas now, I can play 2h of electro tracks in Bogota, Denver, or in Bordeaux, and everybody keeps dancing and understands the groove. There’s been a phase a couple of years ago, especially in France, when the main thing was big techno tracks or industrial, distorted sounds, I remember discussing it at length with Defekt. But it seems that today it’s much easier to play sets with more diversity of sounds and beats. I guess the UK must be different because there’s always been a culture of mixing things up and not sticking to one style. Have you noticed any changes during your sets as regards to how the crowds react to the music you play lately? S: I have predominantly played electro for over 20 years now and never really deviated. I started my club night Scand in the early 2000s. As I said above at that time the sound in London was thriving. There were great nights like Haywire and Wang that really pushed electro and those parties as well as my own were busy. Then things seemed to drop away for many years. I kept on doing parties sporadically over time as I felt someone needed to push the sound in London. It was really tough. Turnouts were pretty low, and people just didn’t seem to connect. But as you said lately it’s a very different story. In London, I have clearly noticed the turnouts at my nights getting much better. The crowds are younger and more mixed and very receptive to the sound. This had been echoed in the international bookings I have had the fortune of playing in the last few years. From New York to Berlin to Kiev to Paris I have seen crowds large and small really reacting to pure electro sets. We both stood in the booth with Helena Hauff at my CE night in Berlin last Easter and what I found great about that was every time Helena moved from 4/4 back into electro there was a huge cheer from the crowd for the electro. To me, this shows how strong and well received it is right now. Orb Mag: What are your thoughts on the comeback of electro? M: For me, and I’m sure you will agree, it never went away to begin with. There are so many amazing records that have been produced in the early 2000s and throughout the 2010s. I would say maybe there’s a more general shift in the underground dance music scene towards diversity, open-mindedness, and curiosity. Both the crowds and the DJs seem to be eager to discover new music and unearth beautiful releases that had been slept on. It’s not about playing the latest and freshest track anymore, but more about constructing a set that has a meaning and challenges people. Helena Hauff is for me a perfect example of that, she plays electro, EBM, techno or house tracks in a way that’s hers and nobody else’s, and her visibility helps shine a light on music that would never get any attention otherwise because it might be considered too dark or too difficult. I’m not saying nobody was doing it before of course, but it seems that today that’s what people who go to raves and clubs want to hear, they want to be challenged and pushed outside of their comfort zones, and electro is perfect for that. S: Yeah I totally agree, Electro definitely never went away, and I think it is wicked that artists like Hauff and DJ Stingray have been instrumental in bringing it to the foreground again and it’s well deserved. There is a huge history and wealth in the sound which is why now you can span a set ranging from tracks written 30 years ago to this week. And with so many good artists and DJs maybe not in the limelight as much there is a lot for people to discover. What I really like right now is the younger generation I have been experiencing at shows and online. They have a real thirst and respect for the history of the genre and are keen to do their research. These new guys are producing, starting new nights and labels which is a huge positive that will keep driving the sound forward and give it a new edge. 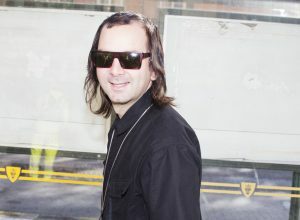 M: People talk about an electro “movement” but to my eyes it’s more a collection of individuals, outcasts and studio freaks who are doing the music they fell in love with when they were teenagers and stuck to it despite the total lack of attention they were getting from the media and the club circuit in general. This scene is healthy because it is and it has always been about the love for the music and the culture rather than about status or fame. I think people like you or Chris (CPU) have been pushing this sound for decades because you believe in this music and because it has a meaning to you. My hope is that it will show younger producers and kids that when you stick to what you believe in, when you stay passionate and focused; eventually it will have more impact and be better for you and your peers than if you jump on the latest bandwagon. Have you ever considered yourself or the label connected to a specific scene or a movement? Or was it more of a personal drive towards a particular type of sound? What would you say is the link between all releases on the Cultivated Electronics catalogue? S: Electro has always been a passion to me, and I’ve never really considered it a movement or anything as it’s just always been there since I first found it at 16. I guess the lack of exposure the sound has had over the last 20 years has made it a pure labour of love. This is what I like about the scene. It has a core of producers that have done it for love rather than exposure, so the history and quality in production and style run deep. In terms of CE, I have always loved dark deep sounds, and I guess this is the main thread that ties the releases together. For me, a track has to have groove. I spend a lot of time on my own productions working on groove, and this is something I look out for when signing tracks. Production is also really important to me. Producers like yourself, Silicon Scally, Morphology, ERP and Versalife, all have great sonics in your productions which I love. I would never release anything I wouldn’t DJ. I see CE as a direct reflection of my tastes and style, so I guess this is what has shaped the sound of the label over the years. M: I’ve noticed there are no LPs in the label’s discography, is that a conscious decision to only release EPs for the club? Or is it just that it’s not happened yet? S: The main reason I haven’t released any LPs was down to money and risk, to be honest. For many years sales on the label were tough and releasing a double pack is expensive and if sales were slow, this would affect the next release, so I was always cautious. With the recent popularity in the sound, sales have improved and I am actually about to release 3 x V/A double packs called From The Dark with the first instalment dropping in September so diving straight in after many years. M: Let’s get nerdy and talk studio process maybe? I was wondering what was your recording process and how you mixed down your tracks, the impact your tracks have on a sound system is incredible, so I guess you spend quite some time on your mixdowns? S: Ah thank you! Yeah as I said I really take time and pride on my production. In the studio, I work with mainly hardware and use my computer a bit like a tape machine recording jams in the background. For me, analogue equipment for bass and leads is quite important. I like the squelch and movement you get from analogue synths, and I think this has become integral in my sound. Over time my workflow has become quite streamlined. I work in 3 stages. 1 – Generating loops and sounds – This is basically jamming up the components of a song and recording in long passes of audio. I don’t over obsess about production at this stage as I know I can refine the mix later. 2 – Editing and arrangement – This can take me months [laughs]. After I have all the components from the jam in Ableton, I spend time arranging the song in either Ableton or Pro-tools depending how I feel. I actually find this stage quite tedious as I have clear ideas in my head that can take time to create. I usually work in small sessions on each section and may create the final arrange in anything from a day to months depending. Stage 3 – Mixing – I am really lucky in that I work as a sound engineer in a recording studio and have access to an SSL AWS 948 mixing desk. I do all of my final mixes on the SSL. This is where I can really shape the sonics of the mix and get the track banging! For CE, I also use Matt Colton at Alchemy for Mastering who adds the final shimmer and punch to the production chain. What are your production methods and techniques? M: I use mainly analog instruments, most of my tracks are studio jams that I record live and then edit quickly, most of them I finish in less than 3 hours. I write sequences on my machines and then play around with them until I have something that seems interesting, and then I hit record and play for 5 to 10 minutes. I have a Midas Venice series mixer, so every instrument is recorded on a different channel in the computer, then when I’m happy with a take, I go back to it and keep the best parts, maybe rearrange a little bit. Sometimes I do a little bit of EQs and compression, but generally, it’s been done on the mixer before so I rarely touch the result. I’d rather go back and play a different version or a different track than spending 12 hours obsessing over production details, it has to be fun, and it has to be something I enjoy doing otherwise I tend to lose focus and interest pretty fast. I want the music to be the main focus, and using analog instruments helps me do that. I have nothing against computer technology (and I use it to a certain extent), but I realized that it pushes me down a road I don’t want to take. S: You played live at my Scand party in London earlier this year. Can you tell me a bit about how your studio work is adapted to the road? M: I use my Elektron Analog Rytm for drums, filled with drum hits sampled from my tracks even though I also use the built-in oscillators, then for synths and basses I export individual stems and play them from Ableton Live. So generally in Ableton, I will have one track for synth, one track for bass, one track for percs and another for various samples and sounds. On each of these tracks, I have a looper, two filters and FX sends mapped to controllers (Novation Launchpad and Launch Control). The audio is routed to a dedicated DJ mixer through my Motu soundcard with one track for the Rytm, and the three other tracks for the audio outs of the soundcard. This makes it possible for me to travel with a live set because it’s super compact, but also to play my tracks live while retaining the character and sonic quality of the original works. I’m writing, rearranging and playing the drums live with the Rytm, which also has extended possibilities of controls and modulation and I’m also able to rework the original material from my tracks via looping and filtering. Of course, it would be even better to be able to bring synths on stage, but it’s generally impossible and would result in a completely different process.